Set in a lovely 1920’s detached home in the peaceful Sussex village of Angmering, The Angmering Day Nursery opened its doors to children in 2006. Its owner and founder Juliet spent her entire working career supporting and developing children in their early years and was motivated to provide a setting that brings together all of her knowledge and experience to create a wonderful place where every child thrives. We are not part of a group or chain, so we can really focus all our efforts on providing the best possible environment and can truly be child, not profit led. We are a private day nursery for children ages 2-5 yrs. We provide home cooked, nutritious meals each day, specifically designed for the needs of young children. 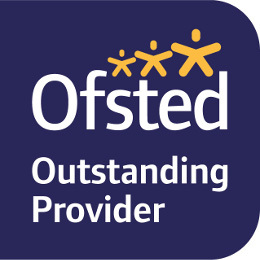 We have a highly qualified and dedicated staff team, because research shows that children achieve better where staff have the best qualifications. We provide a fabulous garden with fantastic areas to explore and develop. We have a new ‘farm school’ where children learn to grow fruit and vegetables and look after small animals in a safe and secure environment. Call us today on 01903 779324 to make an appointment to come and look around our wonderful Nursery. Today we have said a very fond farewell to our baby chicks 🐥. We have all loved caring for you and watch you grow over the past 2 weeks. Please follow the link below to see the wonderful farm they have gone to live on. Don’t forget it’s RED NOSE DAY. So come to nursery dressed in something red if you can and donate a £1 to this great cause! We will also be selling biscuits and cakes too.